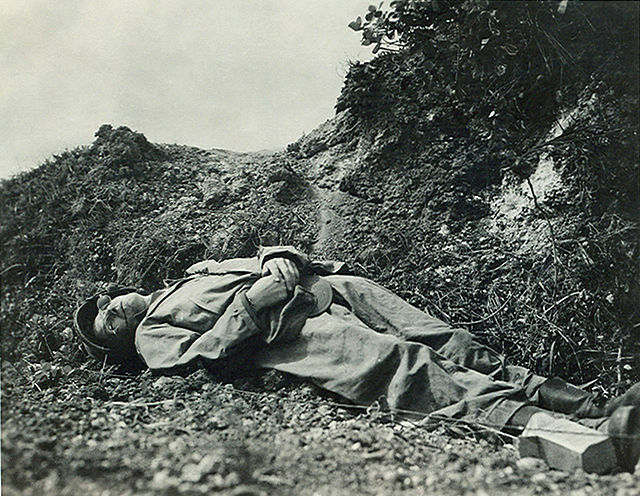 Ernie should have been content with the landings on Okinawa, but then again, he had a job to do…which could only be done from the front, alongside the infantry that he had come to love so much. And who loved him back for it. Ernie doing what he did best. 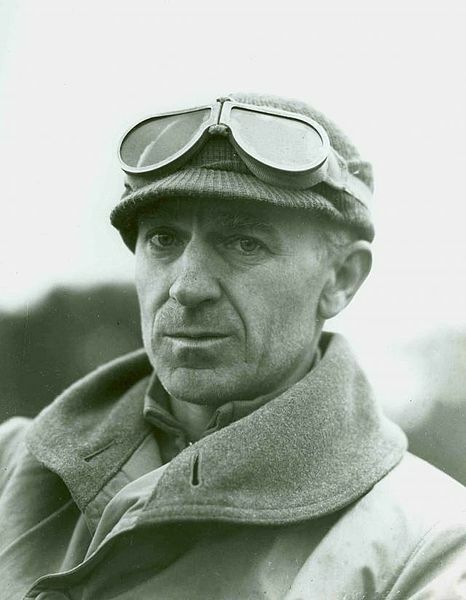 Ernest Taylor “Ernie” Pyle (August 3, 1900 – April 18, 1945) was a Pulitzer Prize–winning American journalist known for his columns during the bulk of WWII, written and sent from the front. Reporting from both the African, European and Pacific Theatres, he was killed in combat on Iejima during the Battle of Okinawa. 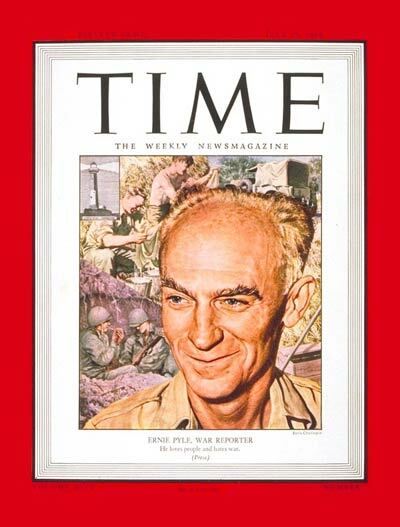 By the spring of 1944 he enjoyed a following in some 300 newspapers and was among the best-known American war correspondents. 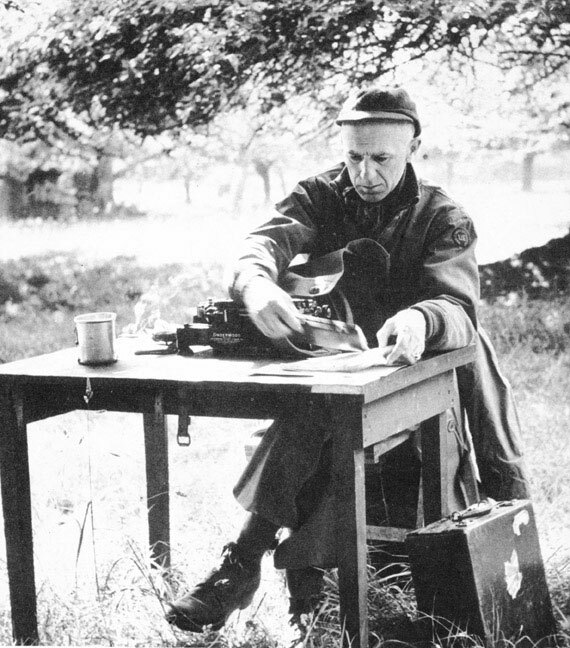 He won the Pulitzer in 1944 for his spare, first-person reporting, which highlighted the role – and plight – of the common “dogface” infantry soldier, were written in a folksy style, much like a personal letter to a friend. Many were collected and published in Home Country (1947). By September, 1944, he was a thin, sad-eyed little man gone gray at the temples, his face heavily creased, his reddish hair thinned. “I don’t think I could go on and keep sane,” he confided to his millions of readers. 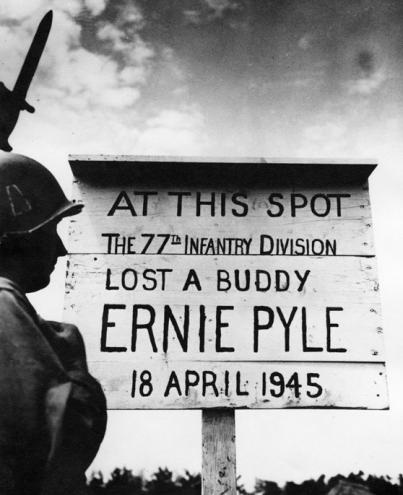 Hundreds of thousands of combat troops, from star-sprinkled generals to lowly infantrymen, knew him by sight, called “H’ya, Ernie?” when he passed. 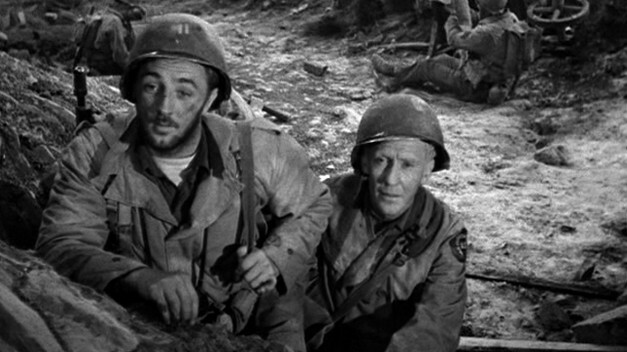 His books Here Is Your War and Brave Men, made up from his columns, hit the high spots on best-seller lists, made Hollywood, where Burgess Meredith impersonated him on the silver screen. He was acclaimed wherever he dared show himself in public. 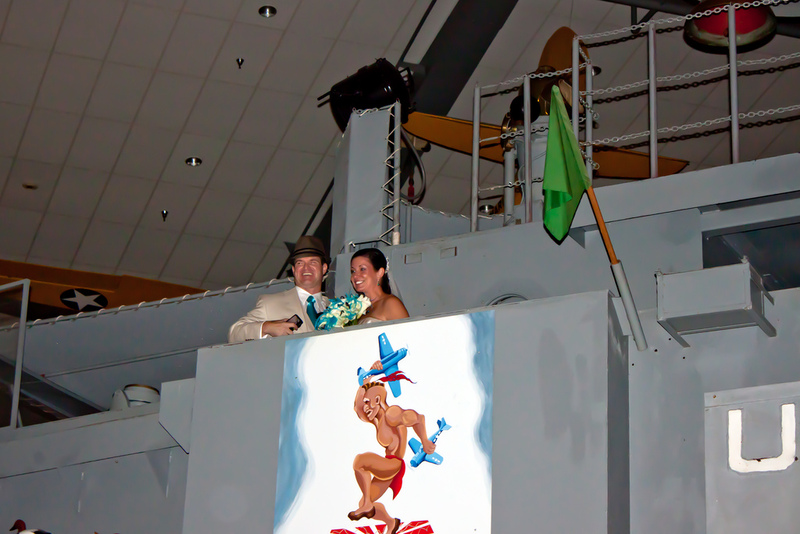 In an odd connection, our wedding reception was on the deck of the USS Cabot! 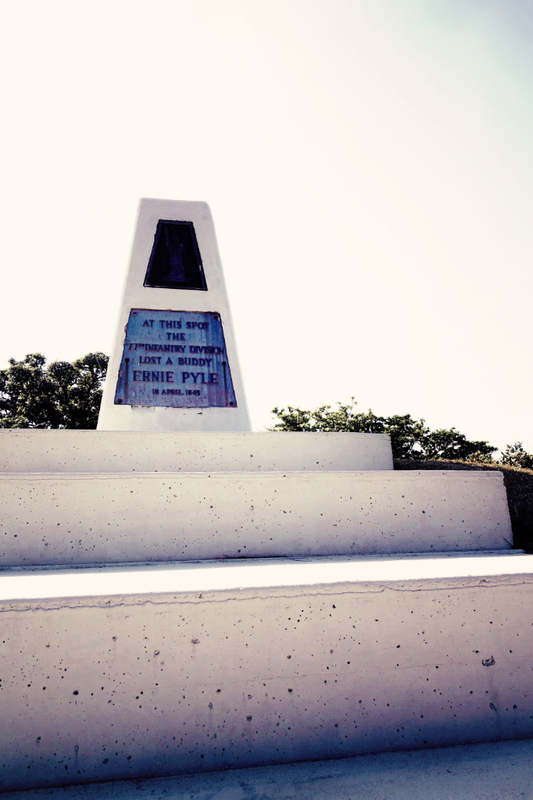 Ernie Pyle is no more…. 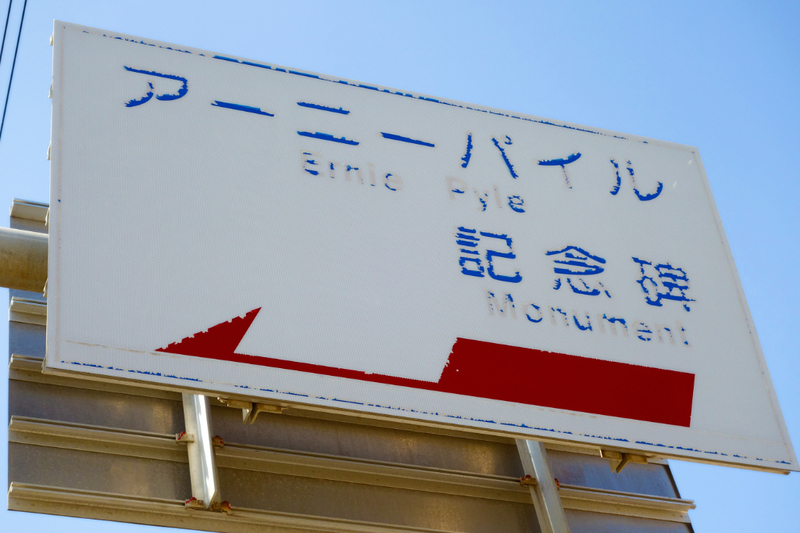 On April 18, 1945, Pyle died on Iejima (then known as Ie Shima), an island northwest of Okinawa Island, after being hit by Japanese machine-gun fire. He was traveling in a jeep with the commanding officer of the 305th Infantry Regiment and three other men. The road, which ran parallel to the beach two or three hundred yards inland, had been cleared of mines, and subsequently hundreds of vehicles had driven over it without incident. As the vehicle reached a road junction, Japanese troops open with machine guns located on a coral ridge about a third of a mile away. The initial burst missed, allowing the men to stop their vehicle and jump into a ditch. 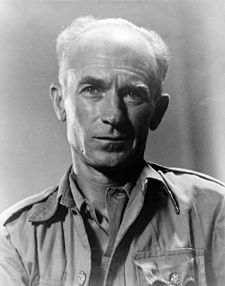 Pyle and the CO raised their heads to look around for the others, where Pyle smiled and spoke his last words to his ditch-mate: “Are you all right?” Another burst from the machine gun and Pyle was struck in the left temple. A medic was called for, and although one wasn’t available, it mattered not. 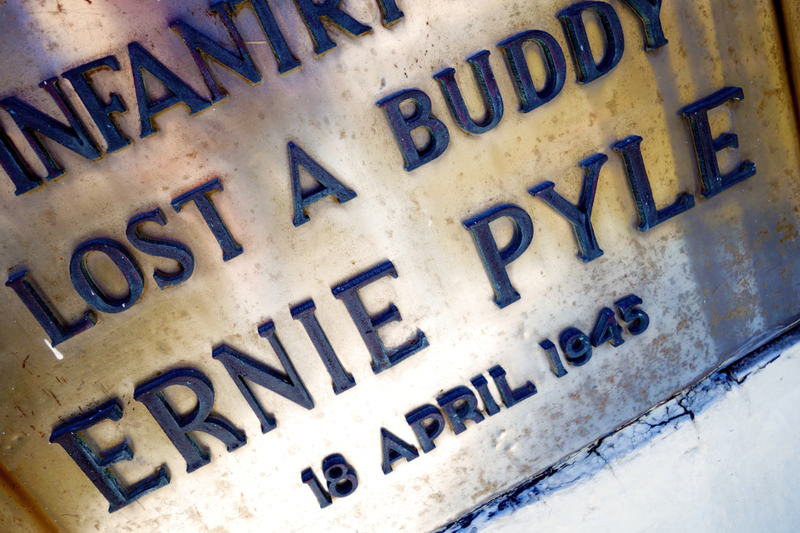 Pyle had been killed instantly. 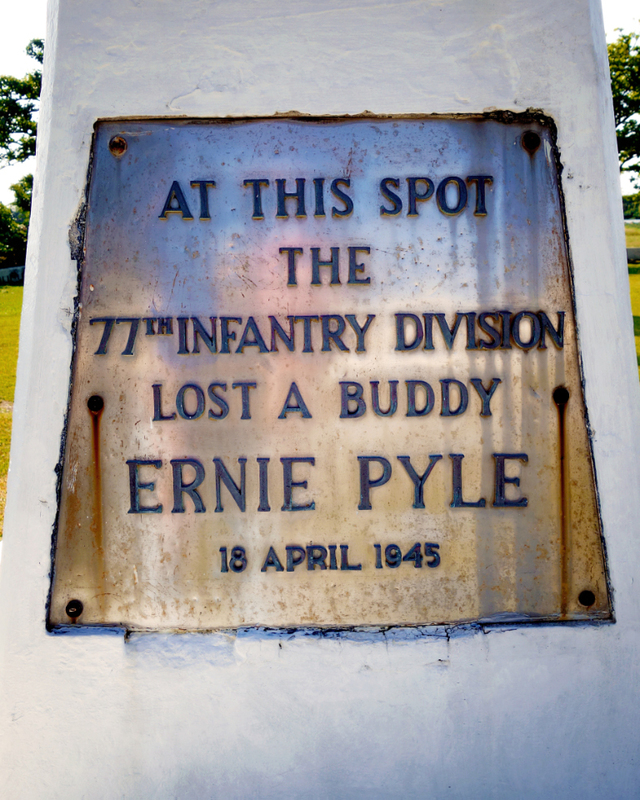 GUAM, April, 18–Ernie Pyle died today on Ie Island, just west of Okinawa, like so many of the doughboys he had written about. The nationally known war correspondent was killed instantly by Japanese machine-gun fire. 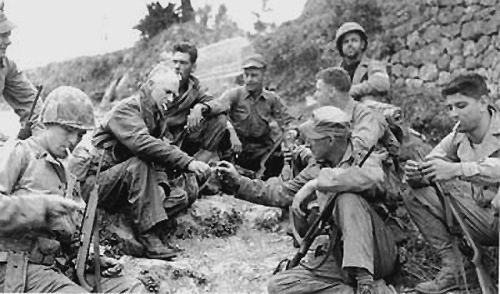 AT A COMMAND POST, Ie Island, Ryukyus, April 18 (AP)–Ernie Pyle, the famed columnist who had reported the wars from Africa to Okinawa, met his death about a mile forward of the command post. Mr. Pyle had just talked with a general commanding Army troops and Lieut. Col. James E. Landrum, executive officer of an infantry regiment, before “jeeping” to a forward command post with Lieut. Col. Joseph B. Coolidge., commanding officer of the regiment, to watch front-line action. Colonel Coolidge was alongside Mr. Pyle when he was killed. “We were moving down the road in our jeep,” related Colonel Coolidge. “Ernie was going with me to my new command post. 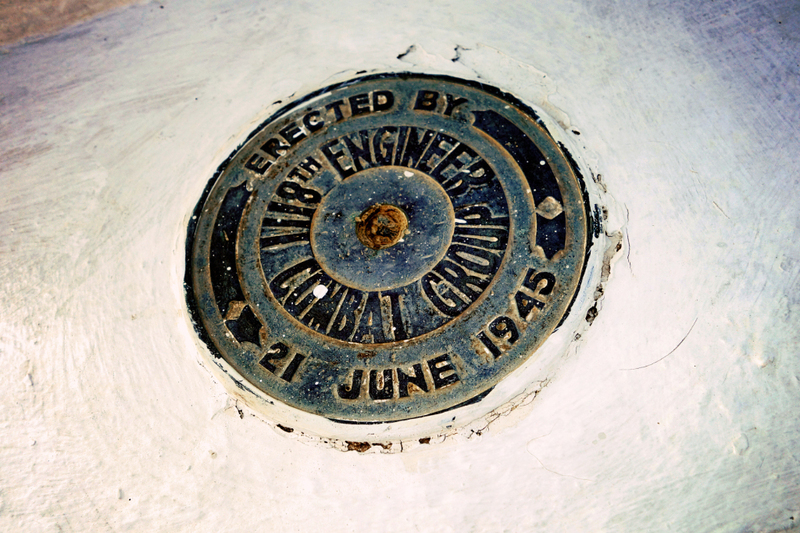 At 10 o’clock we were fired on by a Jap machine gun on a ridge above us. We all jumped out of the jeep and dived into a roadside ditch. 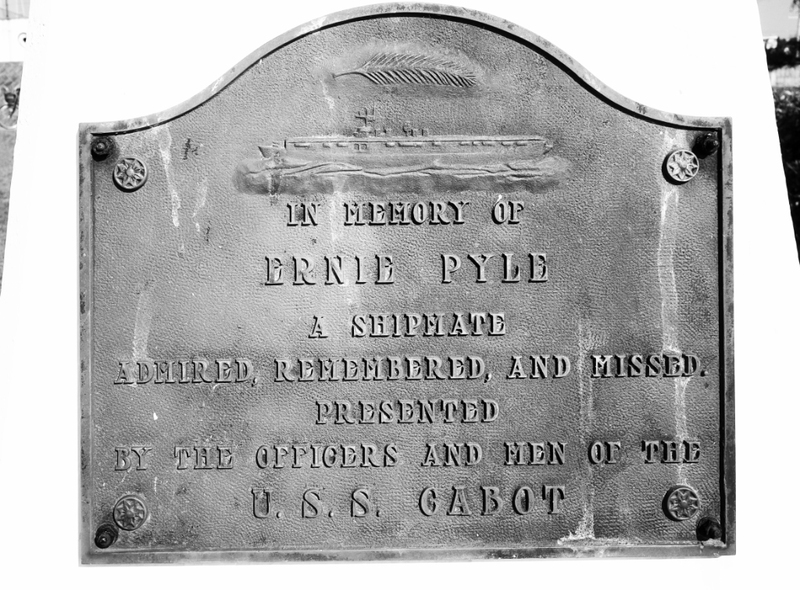 “A little later Pyle and I raised up to look around. Another burst hit the road over our heads and I fell back into the ditch. I looked at Ernie and saw he had been hit. He was killed almost instantly, the bullet entering his left temple just under his helmet.” “I crawled back to report the tragedy, leaving a man to watch the body. Ernie’s body will be brought back to Army grave registration officers. He will be buried here on Ie Jima unless we are notified otherwise. 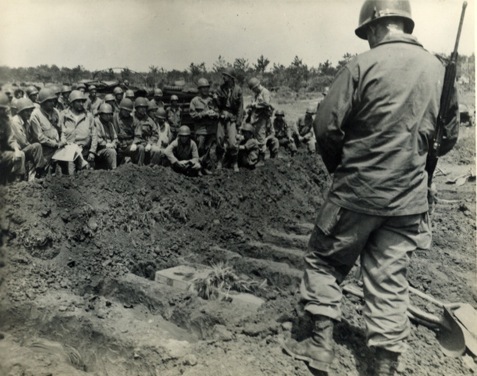 “I was so impressed with Pyle’s coolness, calmness and his deep interest in enlisted men. They have lost their best friend.” Colonel Coolidge was visibly shaken as he told the facts of the columnist’s death. Almost tearfully, he described the tragedy. He said he knew the news would spread swiftly over the island. A short distance ahead enemy machine guns and intermingled with friendly fire, while artillery roared overhead and rattled all things around…. 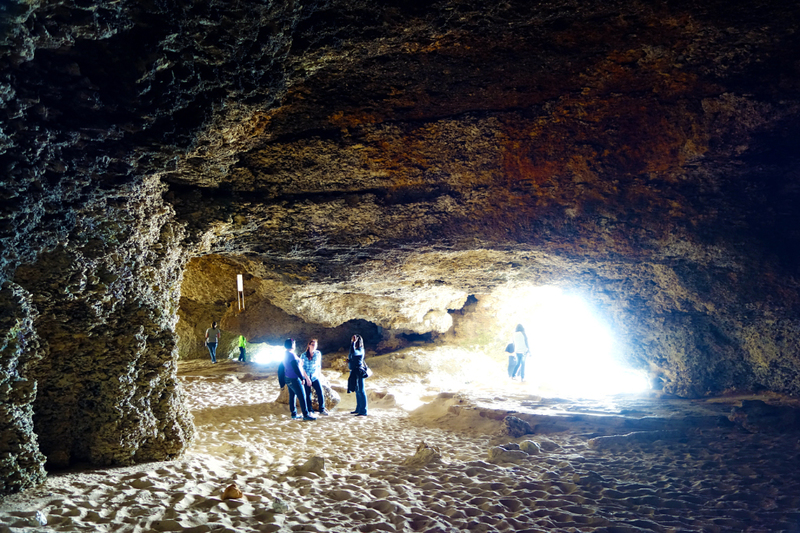 “The only reason my mother didn’t kill me was that she never went to school,” smiled our Okinawan tour guide during a tour of Ahashagama on Ie Jima. 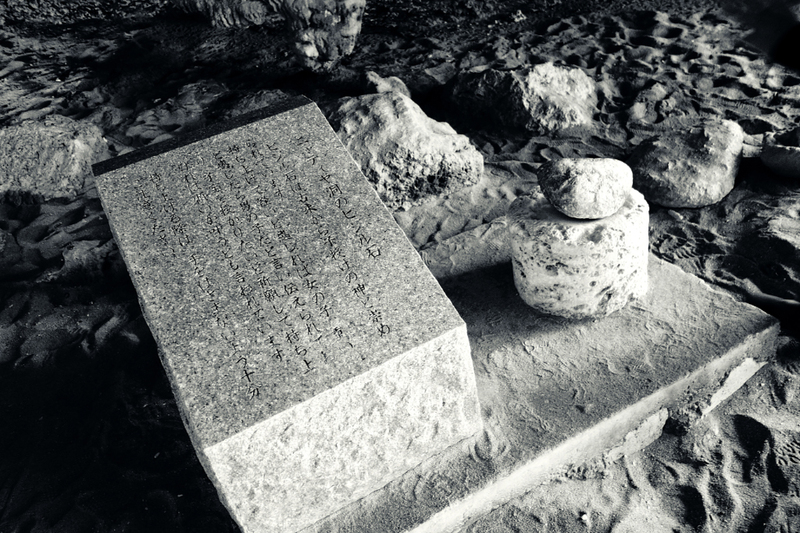 “She was never brain-washed by the faculty and the government….” (See Loyal Soul Monument for more on the militarization of Okinawa in the years preceding WWII) When war came to Okinawa, Setsuko was less than a year old and was hiding with her family on the main island of Okinawa. She had a remarkably chipper attitude about the whole thing; I guess there’s really no other way to really be once you realize that words of life and death can be spoken in such casual ways as they were on Okinawa back in 1945. 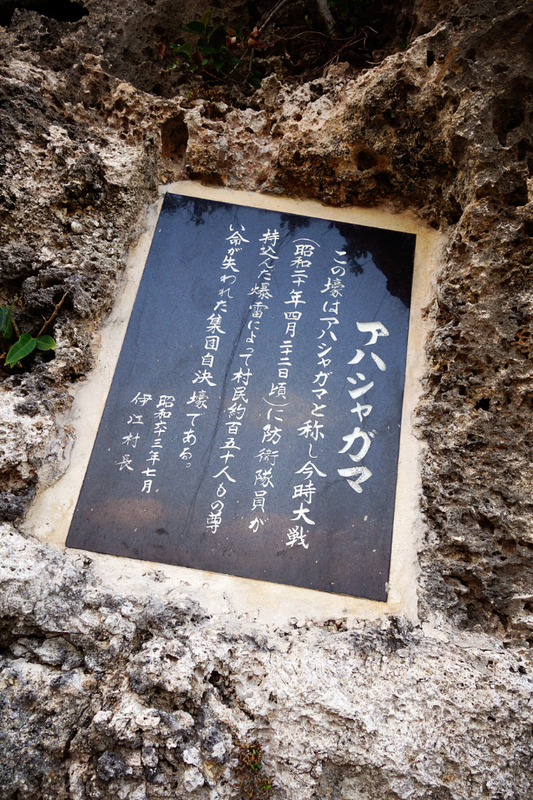 Okinawans continue to tell their wartime accounts least younger generations forget the appalling consequences of war. 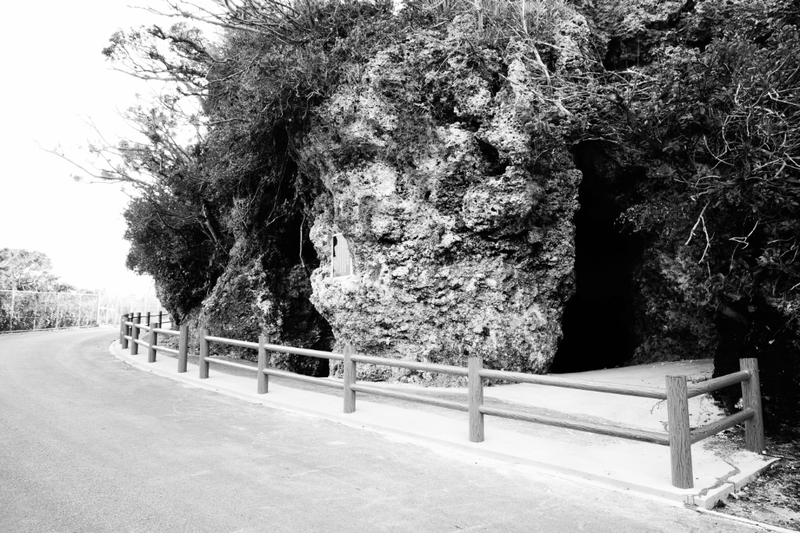 Like the oral traditions of just a few generations ago, such are the ways the Okinawans preserve the honor and memories of those who tragically lost their lives in such horrifically meaningless ways. With more and more of remaining firsthand witnesses to the carnage passing away, such frightful tales are necessarily being expressed more and more through memorial sites left for future contemplation. 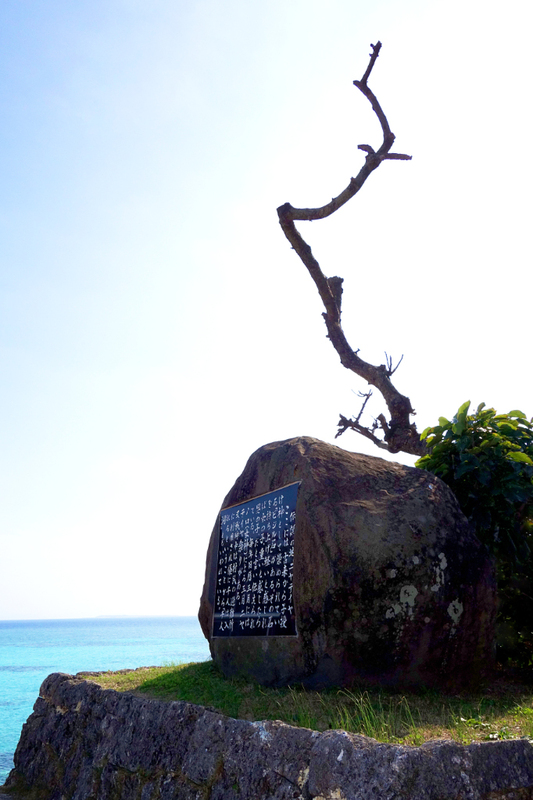 At the end of the day, to the Okinawans, the moral of all these chronicles and memorials is the same: the inescapable shocking costs of war. 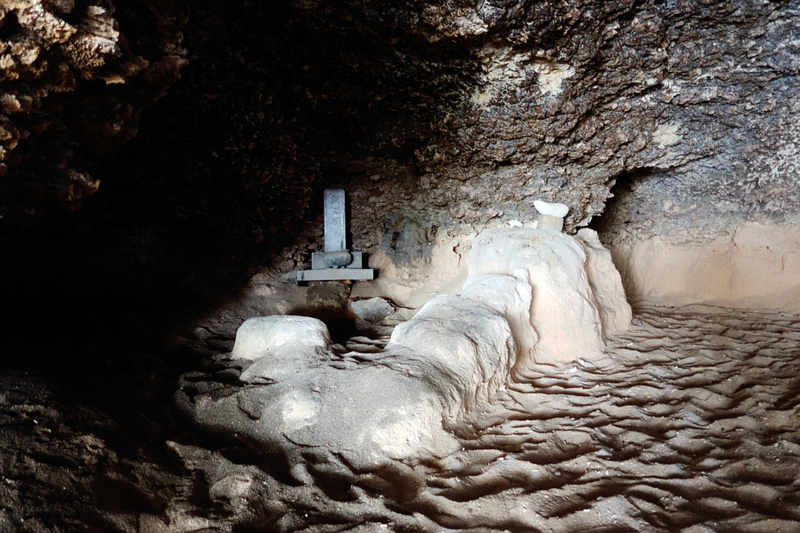 Because of this miracle of life during Okinawa’s Typhoon of Steel where roughly 1/3rd of all Okinawans died in a few short weeks, inside this cave is located a sacred stone, a fertility stone, sometimes called Kodakara-ishi (子宝石, “Child Stone”). 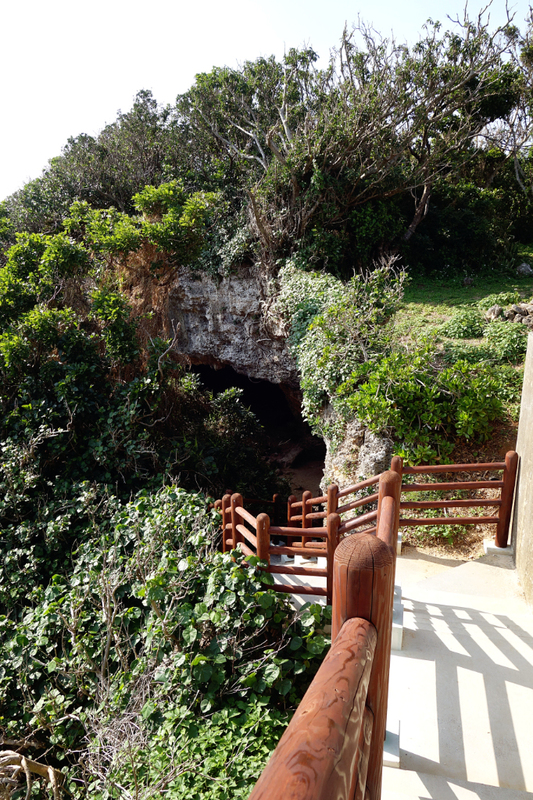 Many come here to harness the “special power” that permeates such “Power Spots,” the phrase the very superstitious Okinawans use to describe such important locales. 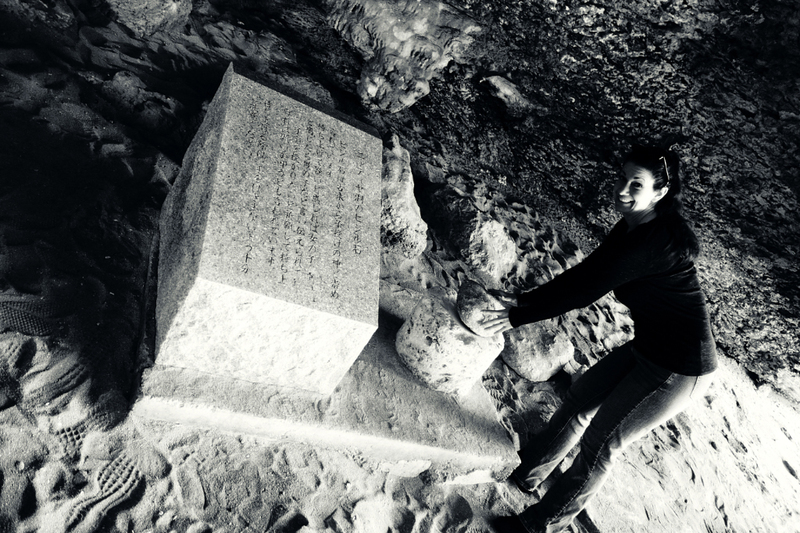 The stone here is believed to be imbued with a living god, and not only does it help those wishing to conceive new life, but it can foretell gender before birth. 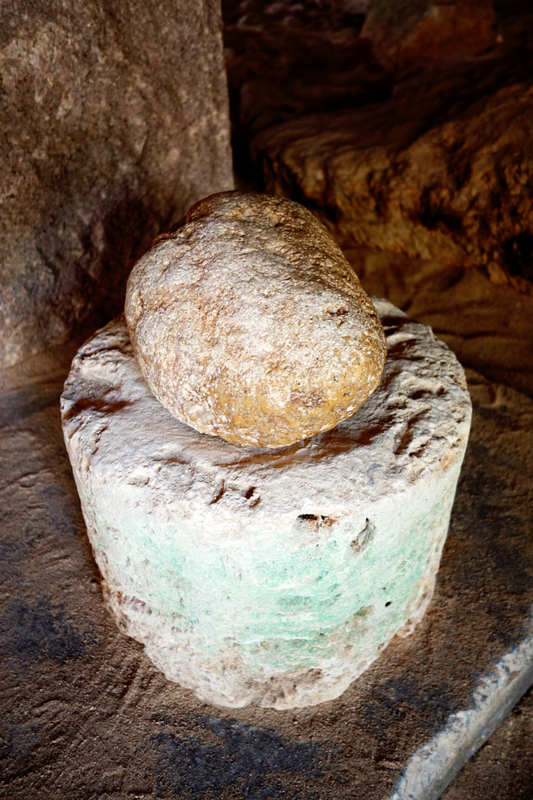 According to legend, if a woman who picks up the stone feels that it is heavy, her offspring will be a boy. If the stone feels light, the baby will be a girl. 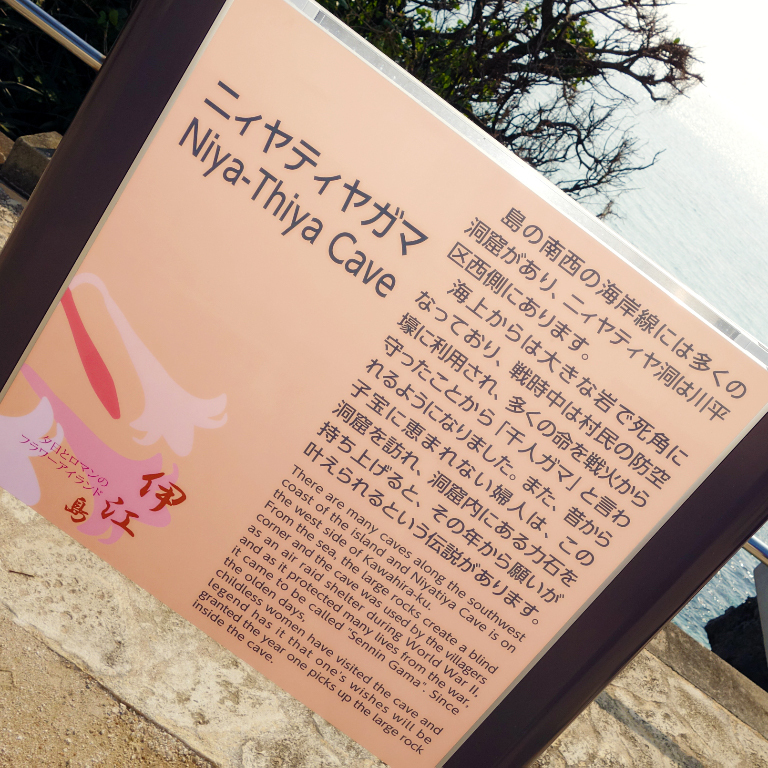 According to the Japanese sign on the outside of the Niya-Thiya Cave, around March of the Lunar Calendar each year a prayer ritual lead by a female priestess is held inside the cave, although I have not been able to confirm this. 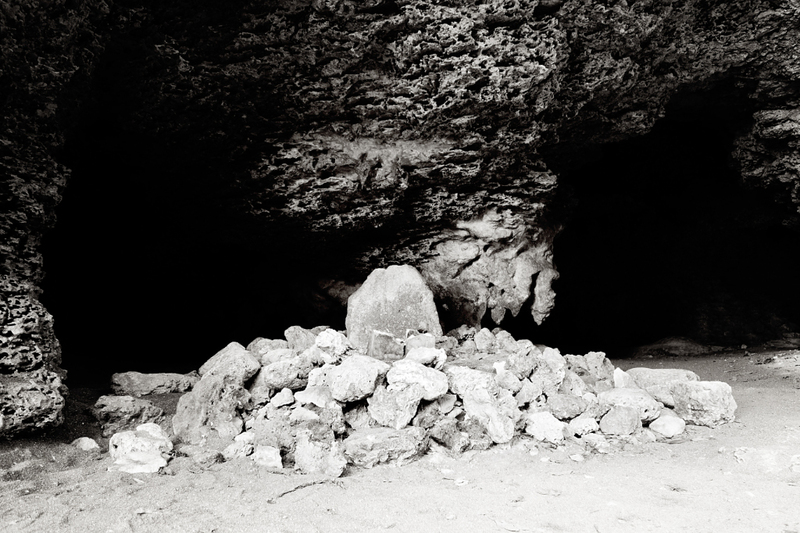 The tale, however, takes a dark, somber turn at Ahashagama (Ahasha Cave) where there are only words of death. 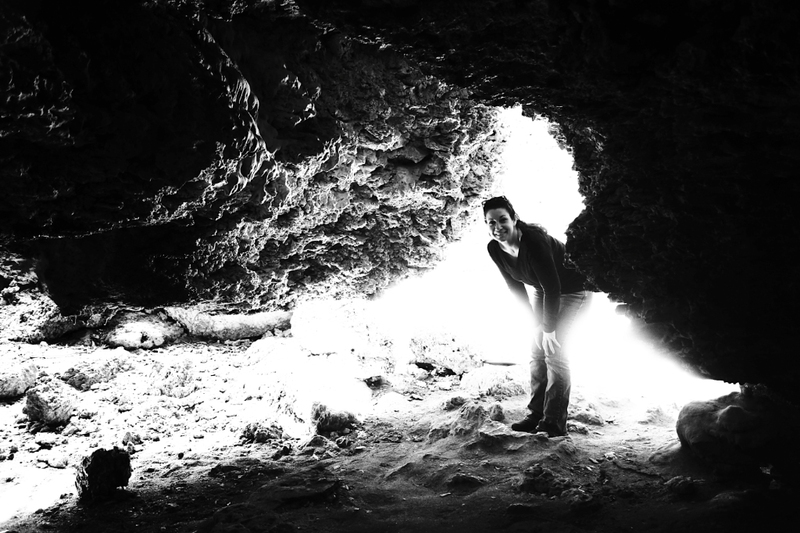 Seemingly forgotten after the war, the cave was sealed during the war and left unmolested for over two decades. Many probably wanted to forget what happened there. 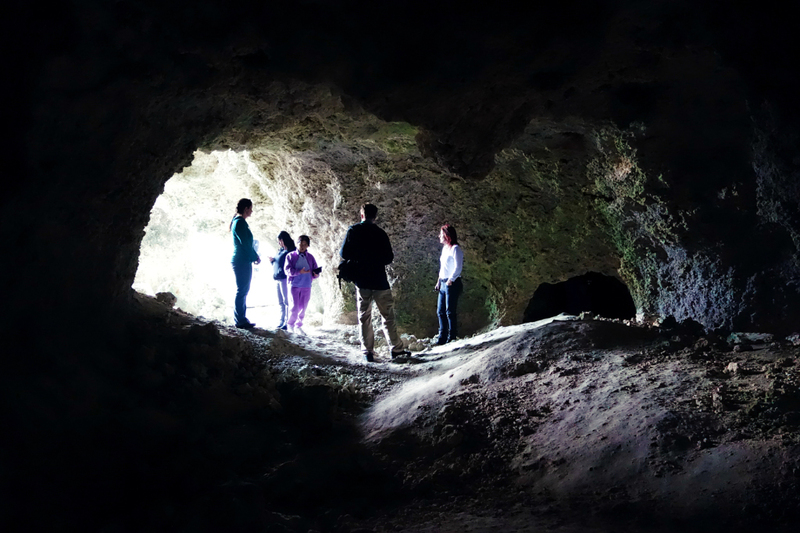 But finally, and rightfully, the cave was opened and excavated in 1971, twenty-six years after the end of World War II. In short order, the horrific rumors that locals knew to be true was confirmed by forensic analysis: the remains of about 150 people – civilian villagers including men, women and children – were still there, serving silent yet inescapable witness to the mass murder-suicide which occurred there. 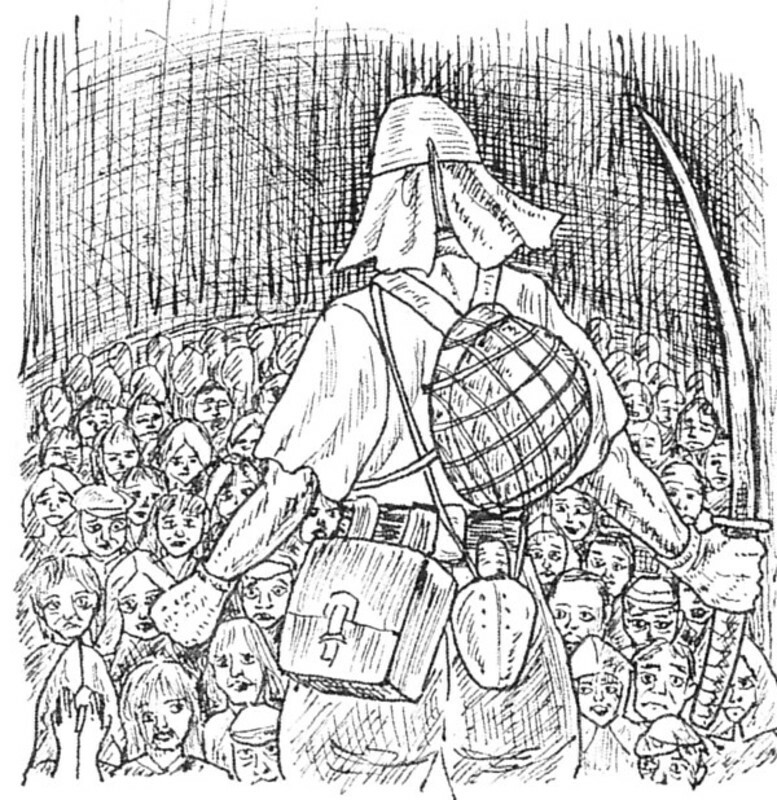 The Imperial Japanese Army had given the civilians grenades and ordered everyone to kill themselves in order to evade capture. Even so, a few people realized such folly and survived their cavemates’ dreadful demise. 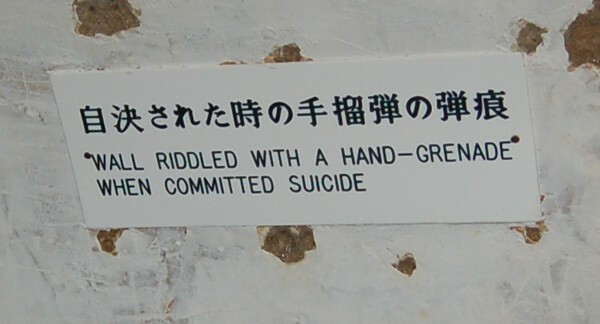 Unfortunately, words of death like these are not uncommon on Okinawa where mass suicides and murders were perpetrated over surrender and capture, sometimes by choice, mostly through coercion, and even by force. 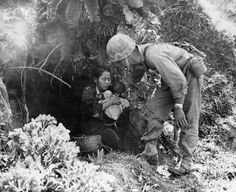 Okinawa’s anguish over these widespread civilian suicides is sharpened by the horrible realization that soldiers from Japan’s main islands always encouraged suicide over capture. Worse, they often used intimidation and bullying to pressure many into taking such drastic actions, and at times murdered civilians who refused. 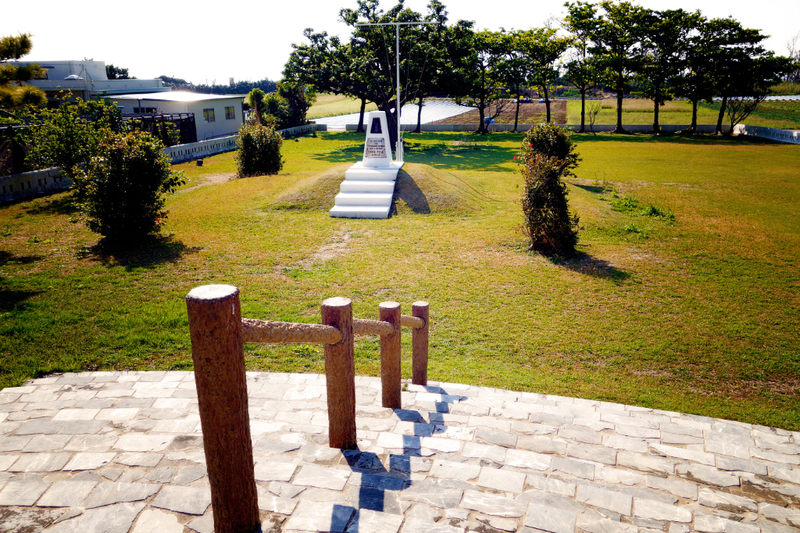 In a diorama at Peace Prayer Park, the Okinawa memorial to WWII, a spotlight glints off a bayonet held by a fierce-looking Japanese soldier who stands over an Okinawan family huddled in a cave, the mother trying to smother her baby’s cries. 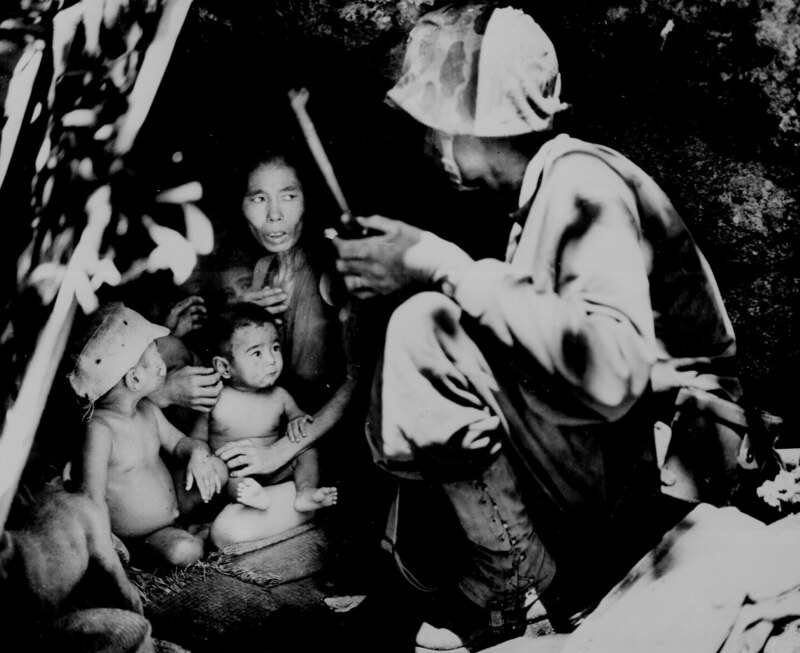 “At the hands of Japanese soldiers, civilians were massacred, forced to kill themselves and each other,” reads the caption. Nearby, a life-size photo shows the grisly aftermath of a family killed by a hand grenade. 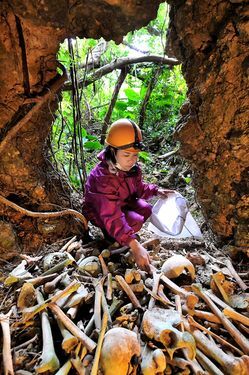 On Geruma Island, part of the Kerama Islands just a few miles off Okinawa’s southwestern coast, Takejiro Nakamura attests first-hand to atrocities. In 1945, he was just a boy, a 15-year-old student when the American invasion started. Jody temps fate with the Sacred Stone! 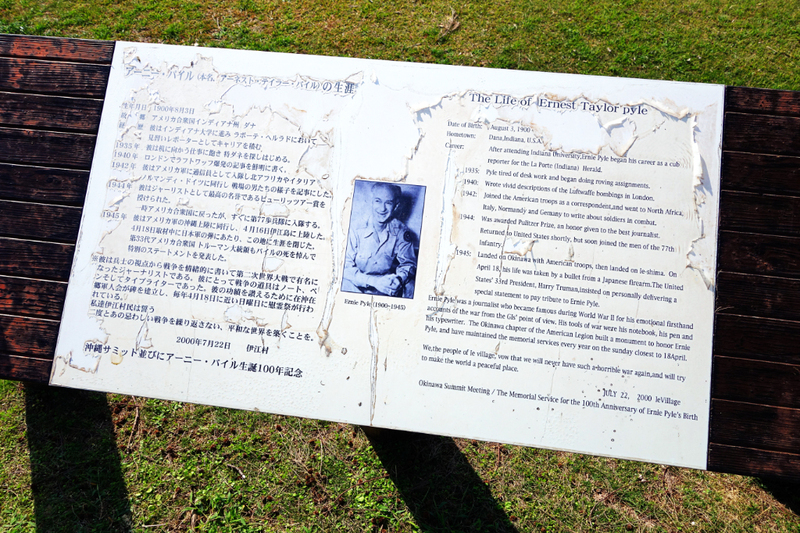 “For a long time, the Japanese Imperial Army announced that, on other islands, the women had been raped and killed, and the men were tied at the wrists and tanks were driven over them,” he states flatly. He claims that, as Japanese defenses crumbled on his home island in late March 1945, 56 of the 130 residents there committed suicide. 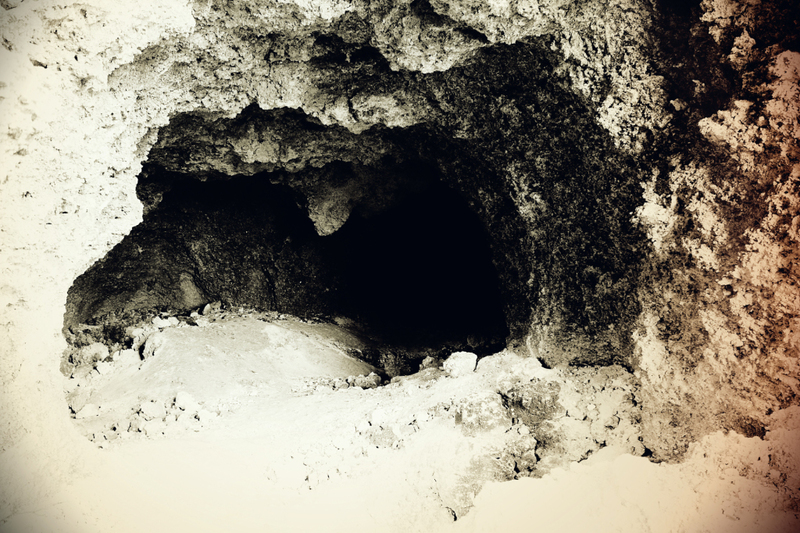 Fleeing with family and neighbors, he ended up in one small cave where ten of his fellow citizens had already killed themselves. They decided to do the same. “I heard my sister calling out, ‘Kill me now, hurry’, ” Mr. Nakamura said, recalling how his 20-year-old sister panicked at the approach of American soldiers. His mother took a rope and strangled her. Seeing this, he attempted the same. “I tried to also strangle myself with a rope,” he recalled, lifting his now weather-beaten hands to his neck. “But I kept breathing. It is really tough to kill yourself.” Minutes later, before his mother had time to kill him as well, the Americans took them captive. His mother lived well into her 80’s. “We talked often about the war,” Mr. Nakamura said. “But to the end, she never once talked about killing her daughter….” The iron in such words of death would shatter her already broken heart, nor could it offer any lasting catharsis for her damaged soul. Instead, she, like all those who have suffered war, should always struggle to find words of life. “I ain’t promising you nothing extra. I’m just giving you life and you’re giving me life. And I’m saying that men can live together without butchering one another,” Josey says through gritted teeth, squinting but looking the Indian Chief squarely in the eyes. 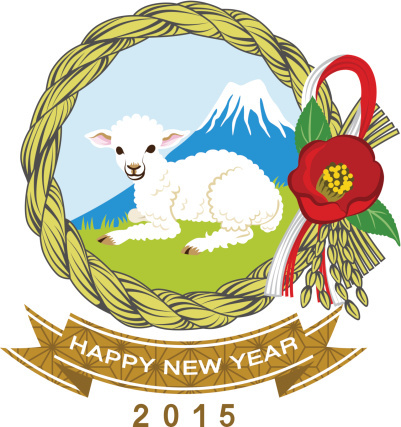 Geishun (迎春): Welcome Spring and the New Year! 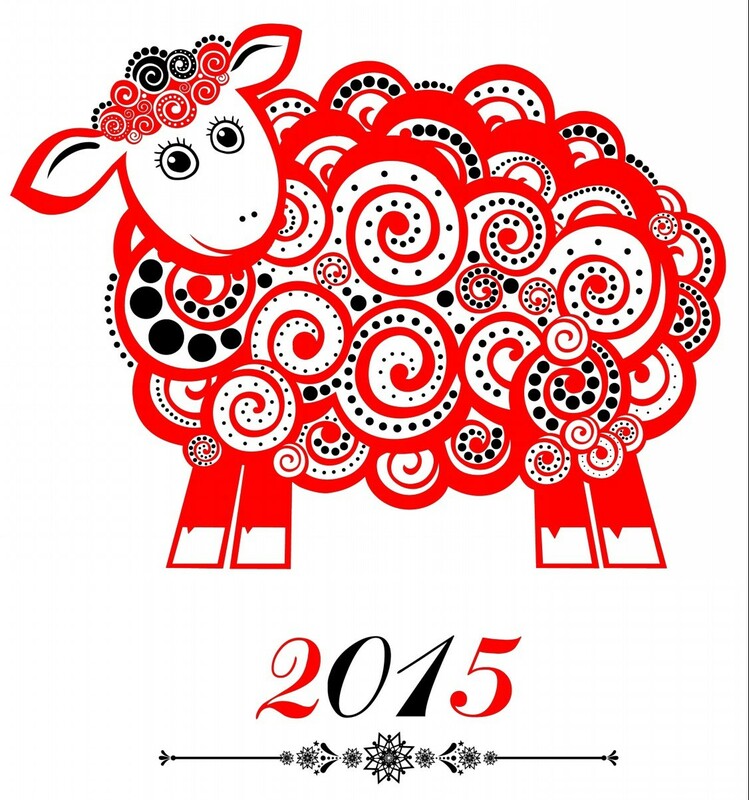 Although we’ve been flirting with the New Year as the world always does for the whole of December, the Year of the Sheep is fully upon us. And, being the Far East Flirts that Jody and I are, we celebrated differently this year than we did last (See Candy is Dandy but Liquor is Quicker to read about our past flings). 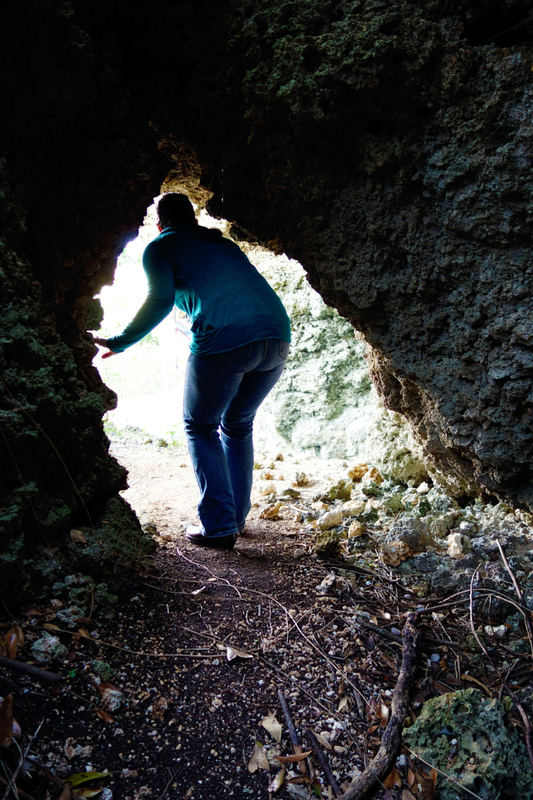 This year Jody and I took another island-hoping jaunt to another remote near-by island (see Tropical Trek to read about another), this time Ie (pronounced “Eeee-A”) Island. 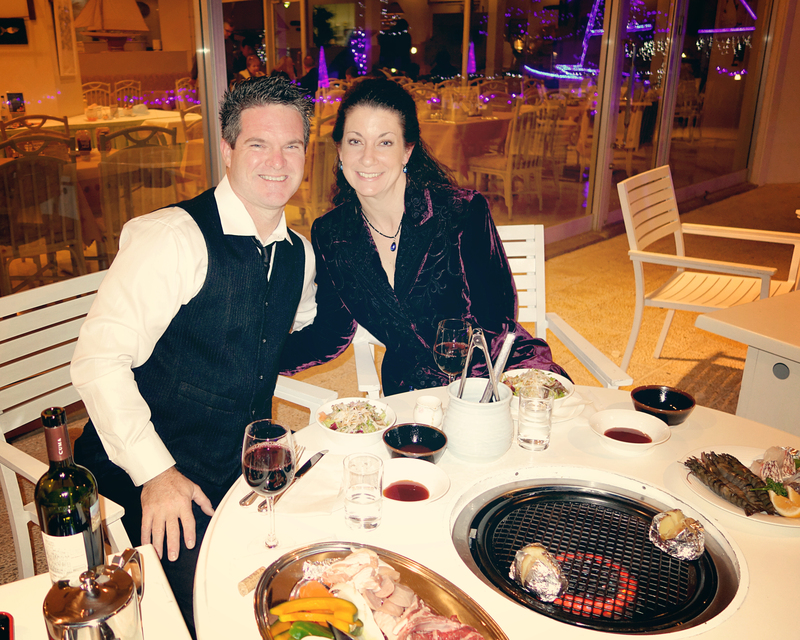 Taking the military up on one of their pre-arranged good-deal tour packages, we embarked on our 2-night stay at a Japanese “resort” over the New Year’s. 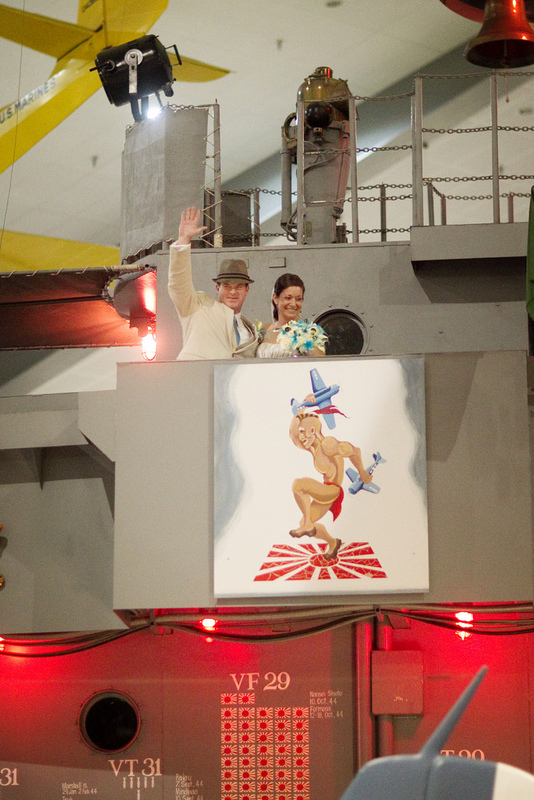 And our journey – and the festivities were both full of surprises. The Japanese New Year (正月, Shōgatsu) is an annual festival in Japan, similar to others celebrated elsewhere across the globe. 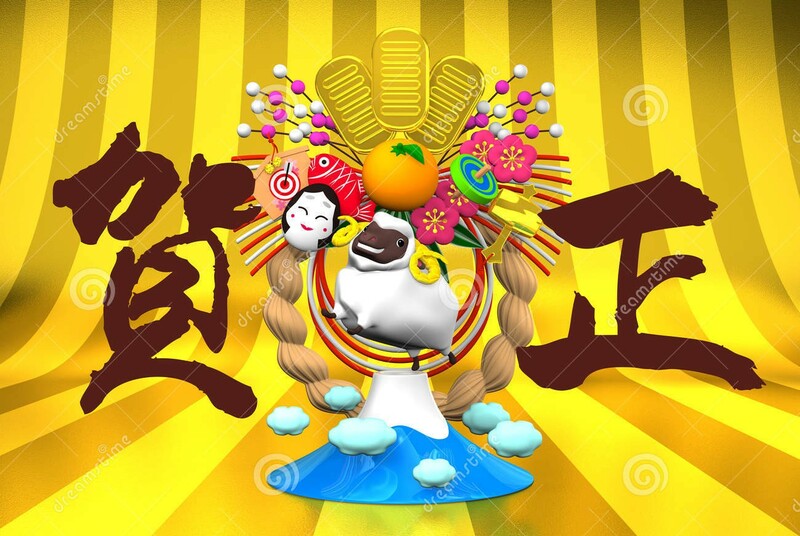 Since 1873 the Japanese New Year has been celebrated according to the western Gregorian calendar on January 1, or New Year’s Day (元日, Ganjitsu). However, much of Okinawa, being much more closely aligned throughout history with China rather than with the Empire of Japan, still recognizes their New Year as the contemporary Chinese lunar New Year, which varies based on the moon but usually occurs in late January or sometime in the first half of February. It’s a pretty good convention; why have only one New Years in a year when you can have TWO?!? Finding ourselves on Ie Island in the heart of a very elderly and rural population, the customs and traditions surround the Welcoming of Spring (which the Chinese Lunar New Year celebrates) were well represented, and in which we eagerly participated. 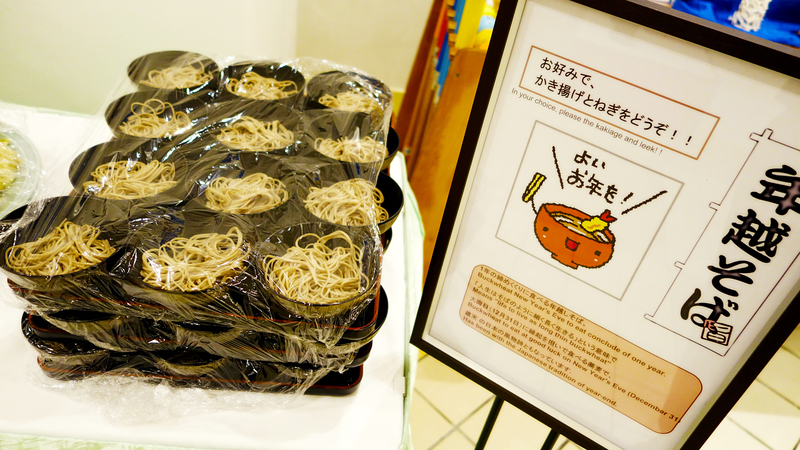 Soba for Long Life in the New Year…and beyond. The night of the countdown, the hotel served us fresh dishes of buckwheat soba noodles, to be topped off with steaming broth. The stretching and consuming of the long noodles are representative life stretching well into the future. Although feasting on soba noodles is traditionally done after ringing in the New Year, our resort made the traditional dish available starting at 10pm. Of course, after our Korean BBQ feast that only started just a couple of hours prior, we had to literally find the room in our bloated bellies, else we tempt the darker side of fate in the coming year. The hotel offered typical Japanese fun and games during New Year’s Eve in a bonenkai party of sorts (read Bad Year? Fogetabout it! for more on how the Japanese dismiss their troubles of the past), to which such fanciful fun is typically reserved. We missed the – and here I am not kidding – the “Rock, Paper, Scissors” game, and interrupted the “Guess what’s in the Box” amusement with our late arrival. Although I was the first to win at bingo, just before midnight Jody and I retired to our room for a more private countdown and personal kiss (or two). 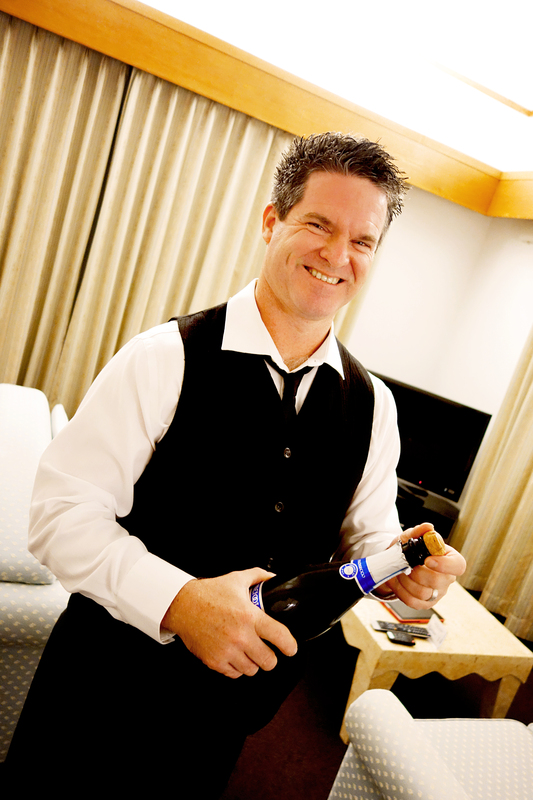 New Year’s Day, however, came with a whole host of celebratory events. January 1st and 2nd are generally regarded as feast days throughout Japan, and our hotel didn’t fail us in this regard. 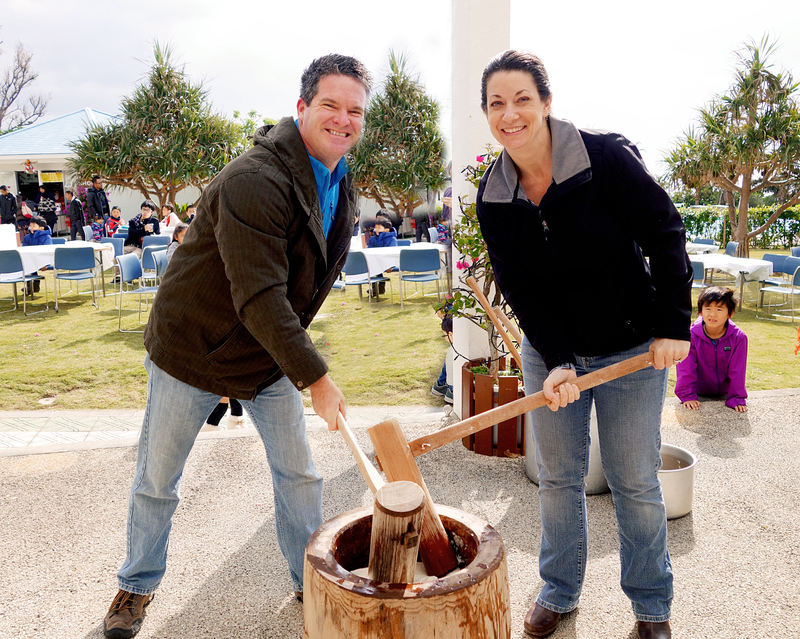 A hugely popular dish made and consumed during the day’s festivities is ozōni (お雑煮), a soup centered around mochi rice cakes. 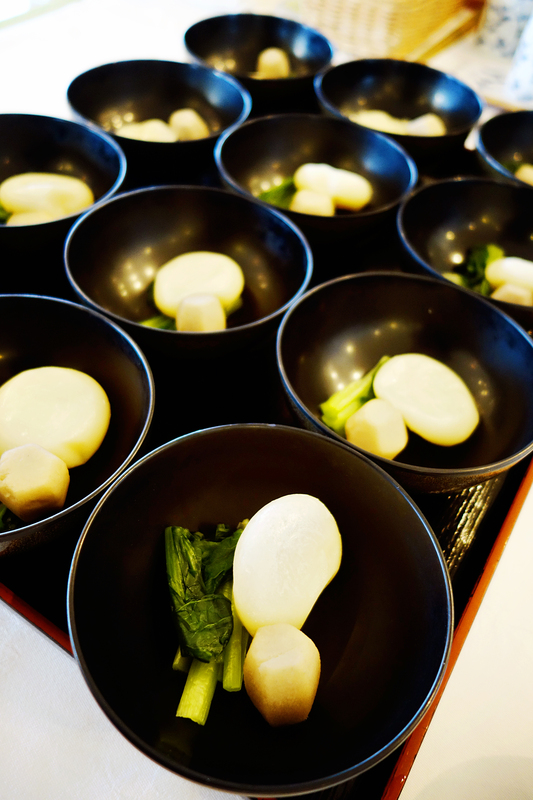 Our soup at breakfast was served with soft-boiled taro and some fresh spinach, topped with a salty clear broth. However, it’s not just the consumption of mochi that is important; it’s the actual creation of the cake from raw rice that’s the heart of this long-lived ritual. In Japan rice is more than food; it’s considered a sacred grain. 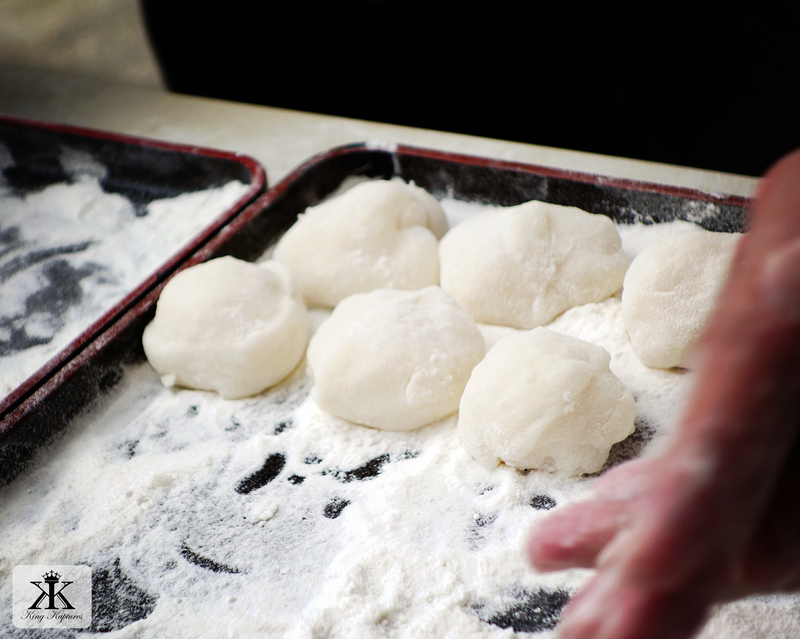 According to Shinto belief, the ritualistic act of creating mochi invites kami (gods and spirits) to visit. The mochi themselves are thought to contain the presence of kami; and as such they represent perfection and purity and are believed to imbue the eater with these qualities. 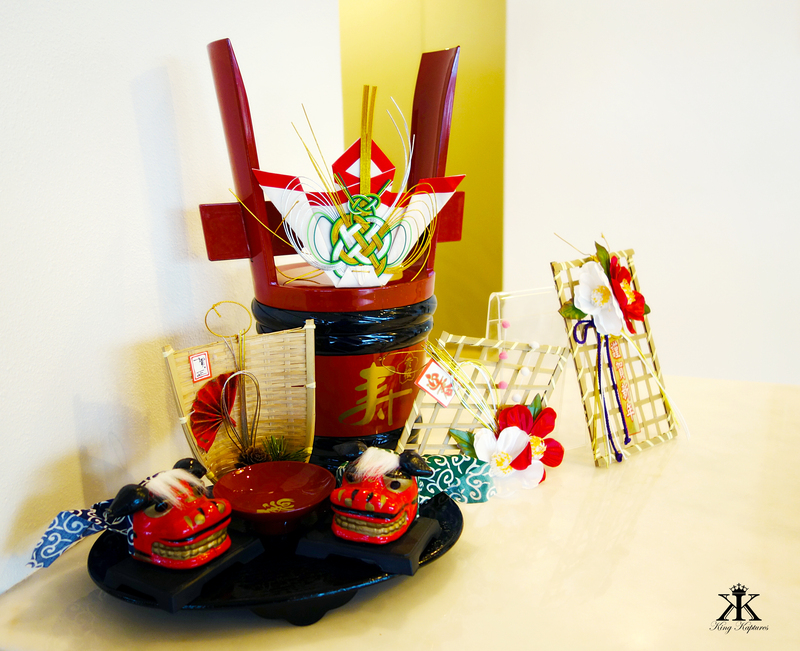 The ceremony involving these cakes starts with boiling sticky rice (餅米, mochigome) and placing it into a wooden bucket-like container called a usu (臼). 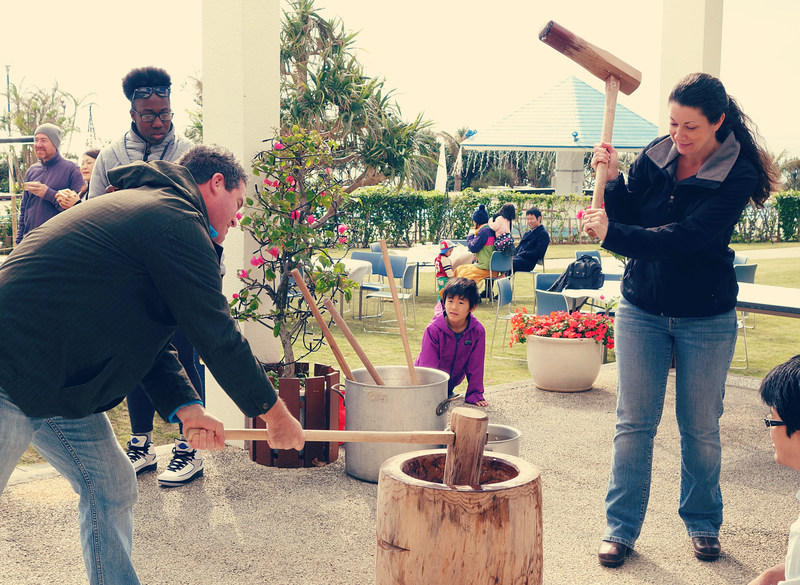 The rice along with large, heavy wooden mallets called kine (杵) are both hand-patted with hot water so the rice won’t stick. Using these kine held high overhead, two or more people take turns pulverizing the rice, a cadence being necessary to avoid simultaneous strikes. After a period of beating, the rice is turned and folded by hand, and then beaten once again. This rhythmic cycle goes on again and again until the rice becomes a sticky white dough, when it is finally transformed into spheroid-like solid dumplings. 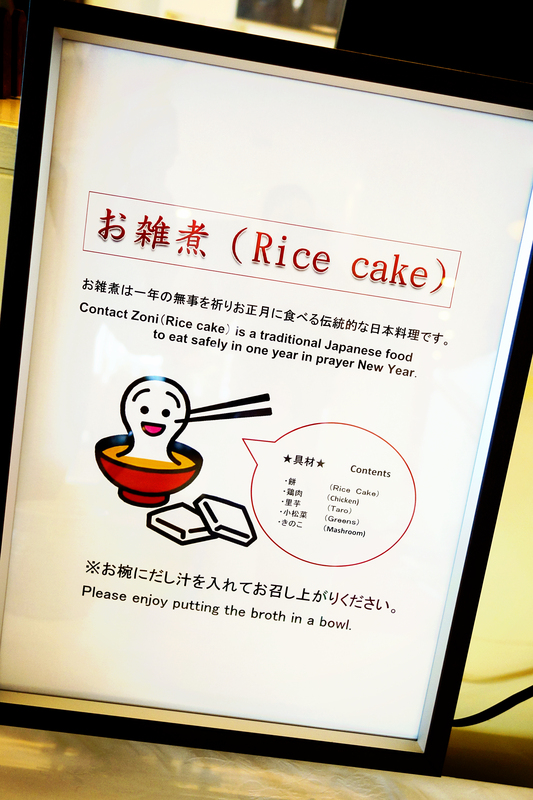 Although the dough is usually made before New Year’s Day, the hotel allowed the guests to participate in this important tradition on January 1st itself. Served as kinako mochi and coated with brown sugar powder and soy flour, such treats are eaten specifically for good luck in the coming year. 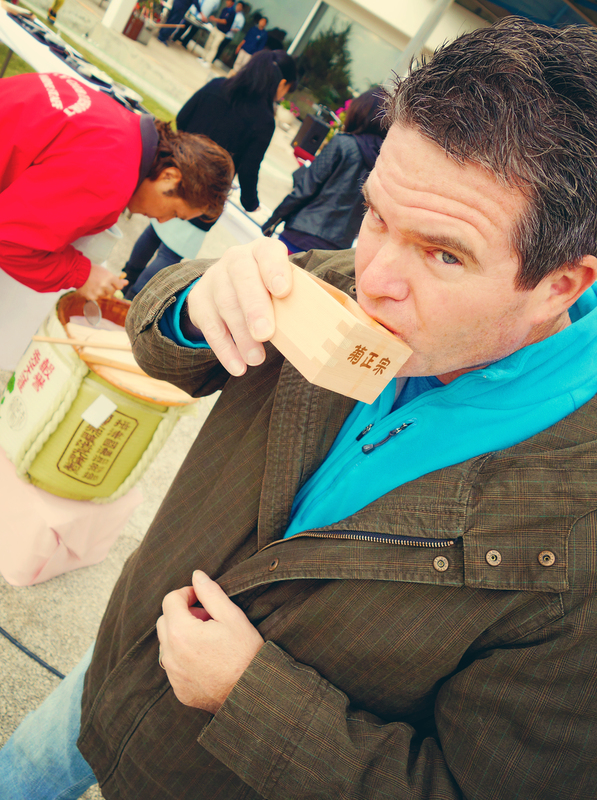 Breaking open the New Year’s sake barrel. Traditional Japanese culture also makes frequent use of sake as a way to observe special events, and is perfect for toasting a New Year. 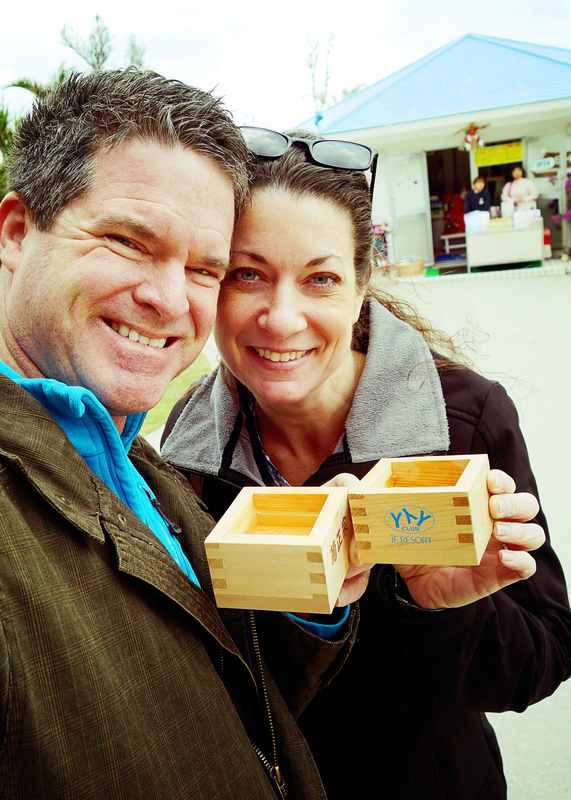 Our sake was served to us from a freshly opened large timber barrel and presented in a traditional small square wooden cup called a masu. Sipping our generous portions of chilled sake on a blistery cold and windy New Year’s Day definitely helped keep us – or at least our spirits – warm and toasty. 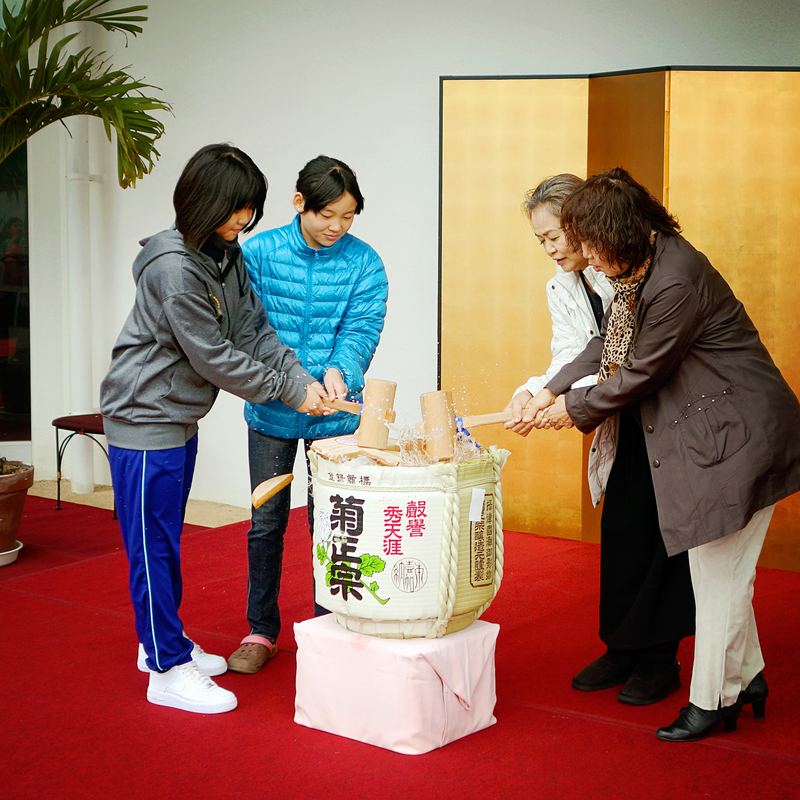 As rice represents the soul of Japan, sake brewed from rice represents its very essence. 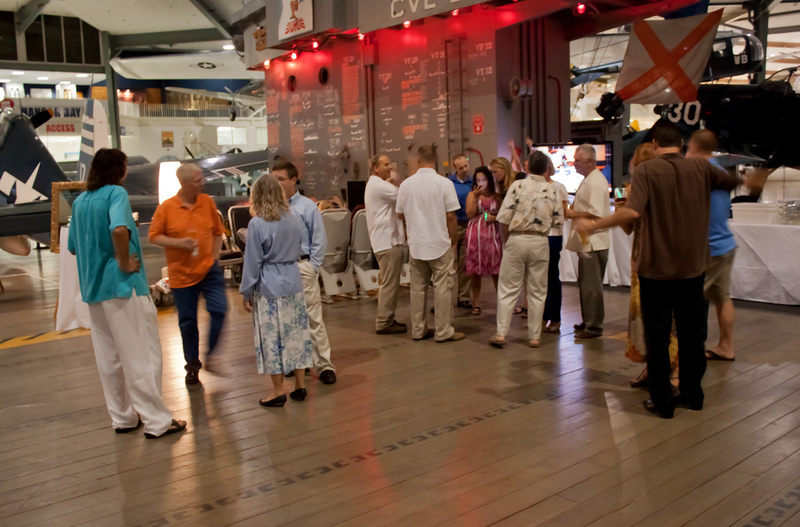 There are also a whole plethora of things to celebrate as the “first” of the New Year. 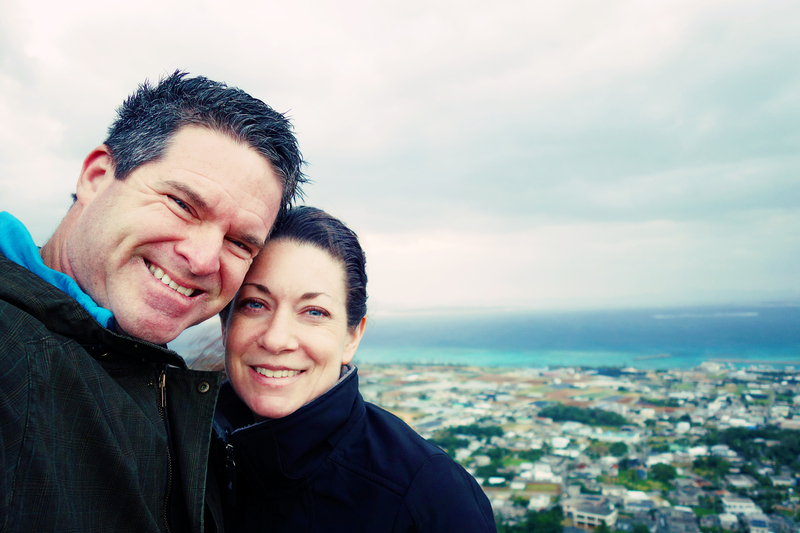 Perhaps foremost of these firsts is the “first sun” (hatsuhi) or “first sunrise,” which Jody and I celebrated (or attempted to) together from the top of Mount Gusuku, the highest perch on Ie Island affording a full 360 degree panoramic view of the East China Sea and Okinawa Island. Although the previous day’s 300 step hike up the steep slope was under clear, blue skies, the overcast and scattered rain showers of New Year’s morn kept the disc of the sun well-hidden; our first twilight will just have to suffice!